Now that former Apple head of retail Ron Johnson has begun his tenure as the CEO of JC Penny, he has begun building his team to help him turn its business around, reports the Wall Street Journal. Johnson has turned to Daniel Walker, who was Apple’s chief talent officer from 2000 to 2005. Walker has been helping Johnson recruit some “A players” for his new team. Walker was the one responsible for hiring Johnson to Apple. Among those hires is Michael Kramer, who is now CEO of Kellwood, as COO, sources have told the publication. 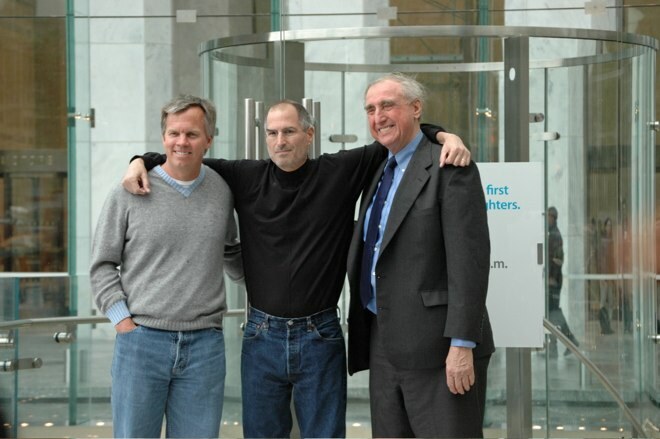 Kramer worked with Johnson at Apple as the CFO of Apple Retail. Kramer will begin at Penney on December 1st. Penny also recently announced that Michael Francis, formerly of Target, would become its new president. Johnson and Francis worked together at Target when Johnson generated the still-in-action plan to bring in reasonably priced designer goods to revamp Targets sliding image. These hires will help Johnson revive Penney’s large, but recently flagging retail business. Johnson obviously comes from one of the hottest and most youthful brands on the market to a store that most people associate with perfume and old lady clothes, so it will be interesting to see if he brings the same kind of spark that we saw in Apple retail. It may also help us to see how much of Steve Jobs was really imbued in the retail aesthetic of Apple and whether Johnson will be able to translate his 10+ years with the company and partnership with Jobs into a new vision for an old brand.